James Harris es Senior Lecturer en Historia Moderna Europea en la Universidad de Leeds. Es autor de The Great Urals: Regionalism and the Evolution of the Soviet System (1999) y co-autor (junto con Sarah Davies) de Stalin’s World: Dictating the Soviet Order (2015). 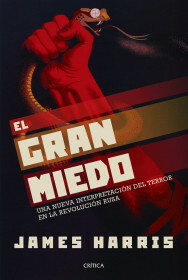 Ha co-editado (junto con Sarah Davies) Stalin: A New History (2005), y ha editado Anatomy of Terror: Political Violence under Stalin (2013).